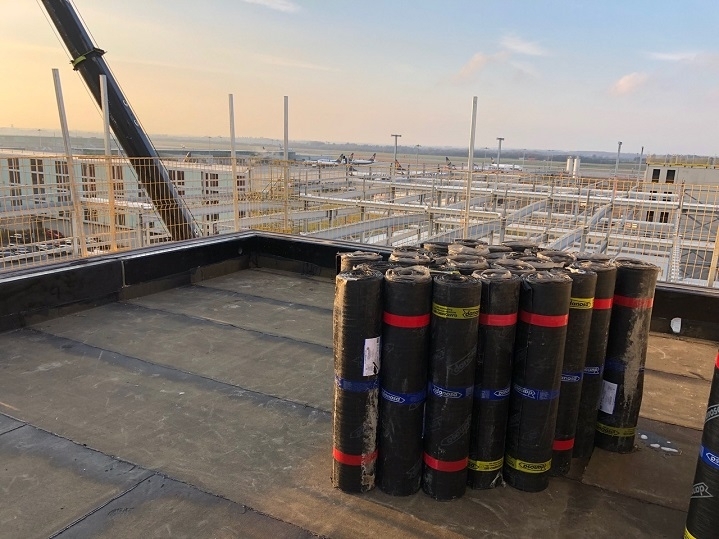 We’ve just started work on a commercial car park roof at Stansted Airport in Essex. We expect construction of the large bituminous system to take our contractors most of the week. The top of the new multi-storey car park provides a great height for views of the Essex countryside and a close up view of the planes as they take-off and land. After much deliberation in the planning chambers of the local District Council, it was decided this week that Stansted Airport could increase passenger numbers from 35 million a year to 43 million a year. A proportion of those extra 8 million passengers are going to require somewhere to park their cars. 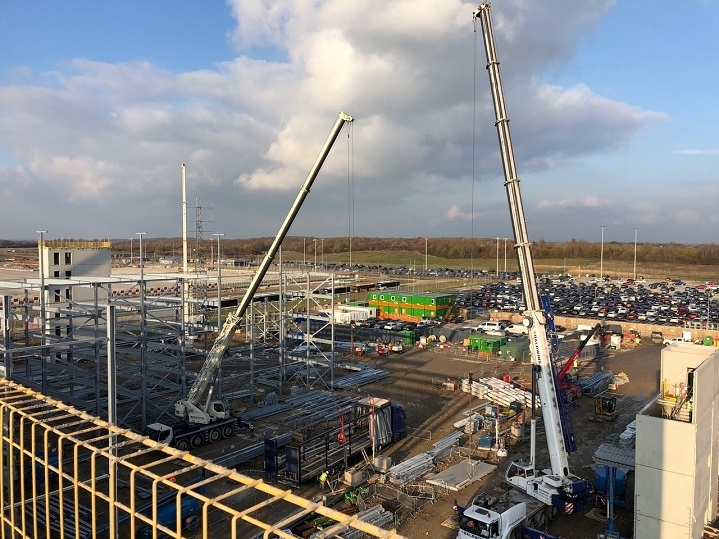 Stansted are ahead of the game and have contracted Huber Car Park Systems to expand carparking facilities at the airport. We’re installing a DANOSA high-performance built up bituminous roofing system with a made-to-measure tapered insulation scheme. Our roofing contractors are fully qualified in the installation of DANOSA roofing systems, allowing us to offer an insurance-backed 25-year guarantee on the roofing materials and workmanship.